Mindful Teachers: Realistic Self-Care: What's Draining Your Battery? 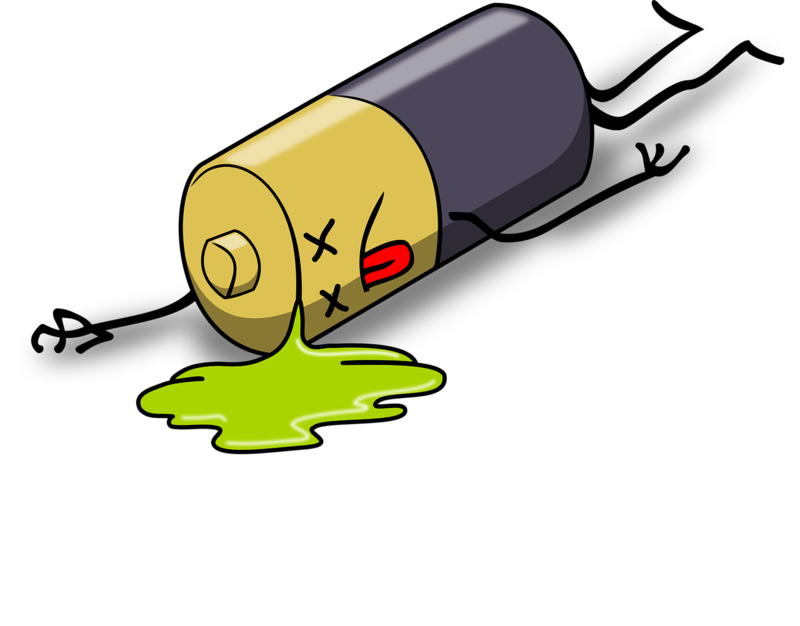 Realistic Self-Care: What's Draining Your Battery? I've heard similar remarks from nurses, social workers, and counselors. There is far too much to do on any given day, and it's only getting worse as 24/7 connectivity adds to the already-impossible demands on those of us committed to helping others. My first choice would be to wave my magic wand and make everything easier for you: Shazam! Abacadabra! Your salary has increased, your workload has decreased, and you feel energized and content at the end of every day, knowing that all of your efforts are fully appreciated and you have a pleasant evening ahead of you to spend relaxing in whatever way you choose. Oh, well. Since that's not possible, I'd like to at least help you figure out what specifically is draining your energy. There are a lot of possible factors, and they require different types of solutions. Is Your Work Physically, Mentally, and/or Emotionally Draining? Is your body feeling tired? Do you have to haul around heavy bags from one end of campus to the other? Are you a caregiver who regularly needs to lift someone else's body weight (perhaps a small child, or someone with a serious illness or mobility impairment)? In any of these cases, you're likely overstraining certain muscles and would probably benefit from some gentle whole-body movement and stretching. However, if you spend most of your day sitting, especially if you're hunched over a desk or computer, you could be sluggish because you're not getting enough exercise. In that case, you'd likely benefit from taking a brisk walk or doing a vigorous workout. Is your mind feeling sluggish? There are also quite different reasons why you might be feeling mentally drained. Perhaps your job involves a lot of concentration or high-level thinking, so you'd benefit from a bit of light reading or watching an episode of your favorite sitcom. On the other hand, you could be bored due to lack of mental stimulation. Let's face it, a lot of jobs in the helping professions involve repeating the same information over and over and over again. sitting at the front desk handling the same types of phone calls or paperwork. If you're in that situation, you might want to take a break from light reading and sitcoms. You might actually find it more enjoyable to read a challenging book in your field or on a topic you've always wanted to study. Even if you're in a fairly pleasant work environment, maintaining a professional persona can be draining. Especially if you're an introvert in an extraverted job, you'll probably feel a lot better if you can get just some solitude. It's also quite likely that you're dealing with a lot of stress, and/or suffering from compassion fatigue. Note the word 'fatigue.' We don't always realize how tiring it can be not just to care for, but to care about those who are suffering. A bereavement counselor told me about a day he spent at a school where one of the students had committed suicide. He knew that he really need to rest afterwards, but he had to go directly from the school to an evening support group for adults. Here's what he did: he arrived fifteen minutes early and took a nap in his car. After that, he felt refreshed enough to give his full attention to the group of grieving adults, and the session went very well. That specific solution might not work for you. (A car nap would leave me feeling rumpled and groggy.) But we can all come up with creative ways to sneak quick breaks into our schedules so we can be fully present for those who need us. I've talked with a lot of highly effective counselors, teachers, and other helpers. They have very different interests and areas of expertise, but they all have one thing in common: excellent boundaries. Developing healthy emotional boundaries doesn't mean you don't care about your students or clients. It means you don't get overly enmeshed. You have a good sense of where you end and the other person begins. "How can you handle seeing grieving clients all day without getting overwhelmed? "I remind myself that it's not my grief. It belongs to my clients. I'm here to listen and support them, not take their grief away from them and bring it home with me." In addition to our own emotional boundaries, we also have to be careful in not letting our students or clients ignore reasonable boundaries or limits we've set for them. That's the type of pattern I used to fall into quite regularly, and I found it frustrating and exhausting. I'm just pointing out that some students or clients will inevitably test our boundaries, and if we give in too easily over reasonable policies we're just setting ourselves up for further frustration. What Do You ‘Have to Do’ That You Don’t Really Have to Do? Have you ever heard, or said, something like this? Those are all wonderful ways to support your loved ones, and I wouldn’t want to discourage anyone from doing them if you truly feel moved to do so. My issue is with ‘have to,’ as if there’s no choice in the matter. Many of us also take on more of a burden at work than absolutely necessary. We often really don't have any control over our schedules, but sometimes we take on more than we can handle or more than is actually required. As Alexandra Franzen says, "There's Always a Simpler Way," which she realized after spending a week lugging around yoga mats for the participants on a retreat she was hosting. "My guests were staying at a hotel with a cheery, bright, wood-floored studio that we could use for our twice-daily yoga classes, [but] we were not allowed to store the mats inside the studio." So she carried a dozen yoga mats from her apartment to her car. Then from her car to the studio. Then back into her car and back out again for the second yoga class of the day. Then back into the car yet again, so she could carry the mats back into her apartment, so she could repeat the same process every single day of the retreat. "Have you ever tried to stuff twelve yoga mats into the backseat of a Volkswagen beetle?... It was tedious. It was physically exhausting... But I kept reminding myself, 'This is what I have to do.'" It didn't occur to her until after the retreat was over that she "could have just given one yoga mat to each guest and they could have kept their mats inside their hotel rooms during the day." "Could there be a simpler way? A better way? A kinder and gentler way? A more efficient way? There probably is. Maybe you’ve just been too hustle-bustle-crazy-busy-frenzied to see it clearly." Conclusion: Of Course You Could Always Do More. But Can You? 2) making choices about how to most effectively spend our time and energy. The problem is that pushing ourselves beyond reasonable limits can hurt us, our families, and even those we serve. The bereavement counselor I mentioned told me he worries about his colleagues who never take comp (compensatory) days. They're entitled to a weekday off in exchange for working on the weekend, and their boss encourages them to do this. By not taking any time away from their work, they think they're being extra dutiful. Unfortunately, they end up turning into the least effective counselors. After a few years, they get burned out and cynical. This starts to effect their coworkers, and eventually their clients. Taking comp days? Napping in the car? Lest you think this bereavement counselor is a slacker, let me assure you that he's very good at his job. I didn't meet him in a professional context; I went to see him after my mother died of brain cancer. Seeing a counselor with a good sense of his own needs and limits? Thoughtful and committed citizens, take a nap! Then, as soon as you feel refreshed, get back out there and keep on changing the world. Realistic Self-Care: How Many Minutes Have You Got? Realistic Self-Care: What Does Your Body Need? Realistic Self-Care: What Kind of Exercise Do You Enjoy?